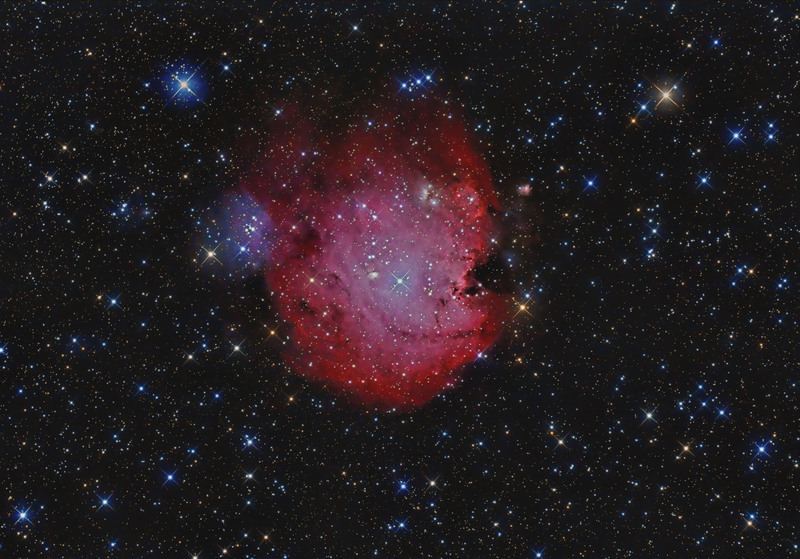 Remarks: NGC 2175 is an open cluster surrounded by the emission nebula Sh2-252. Its distance is about 6,350 light years. The star cluster was discovered in 1654. Exposure: 41 x 5min at 800 ASA. About 2.5 hrs total.